Muslim supporters of Israel are Muslims who support self-determination for the Jewish people, and a homeland for them in the State of Israel. Some Muslim clerics, such as Sheikh Prof. Abdul Hadi Palazzi, Director of the Cultural Institute of the Italian Islamic Community, and Imam Dr Muhammad Al-Hussaini believe that the return of the Jews to the Holy Land, and the establishment of Israel, are in accordance with teachings of Islam. Some Muslim supporters of Israel consider themselves Muslim Zionists. Notable Muslims who publicly support Zionism include ex-Muslim Nemat Sadat, former radical Islamist Ed Husain, Dr. Tawfik Hamid, Tashbih Sayyed, a Pakistani-American scholar, journalist, and author, and the Bangladeshi journalist Salah Choudhury. Additional Muslim people who voiced public support for Israel included figures such as Irshad Manji, Salim Mansur, Abdurrahman Wahid, Mithal al-Alusi, Kasim Hafeez, Abdullah Saad Al-Hadlaq, Zuhdi Jasser, Khaleel Mohammed, Nadiya Al-Noor, and Noor Dahri. In the Muslim world, support of Israel is a minority orientation, and supporters of Israel have faced opposition and violence. According to Imam Muhammad Al-Hussaini, traditional Islamic commentators from the 8th and 9th century onwards, such as Muhammad ibn Jarir al-Tabari, have uniformly interpreted the Qur'an to say that the Land of Israel has been given by God to the Jewish people as a perpetual covenant. According to a translation by the Islamic Law scholar Khaleel Mohammed, Ibn Kathir (1301–1373) interpreted Qur'an 5:20–21 using the following terms: "'That which God has written for you' i.e. That which God has promised to you by the words of your father Israel that it is the inheritance of those among you who believe." Faisal (right) with Chaim Weizmann (also wearing Arab dress as a sign of friendship) in Syria, 1918. 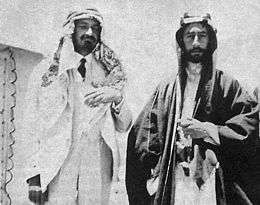 After World War I, the Sharif of Mecca, Hussein bin Ali and his son, the King Feisal of Hijaz and then of Iraq, proclaimed pro-Zionist views. According to Sheikh Prof. Abdul Hadi Palazzi, the Wahhabi position, in contrast, was extremely anti-Zionist. The resources of the country [Palestine] are still virgin soil and will be developed by the Jewish immigrants (...) we have seen the Jews from foreign countries streaming to Palestine from Russia, Germany, Austria, Spain, and America. The cause of causes could not escape those who had a gift of deeper insight. They knew that the country was for its original sons [abna'ihi-l-asliyin], for all their differences, a sacred and beloved homeland. The return of these exiles [jaliya] to their homeland will prove materially and spiritually an experimental school for their brethren who are with them in the fields, factories, trades and all things connected to the land. We Arabs... look with the deepest sympathy on the Zionist movement. Our deputation here in Paris is fully acquainted with the proposals submitted yesterday by the Zionist Organisation to the Peace Conference, and we regard them as moderate and proper. We will do our best, in so far as we are concerned, to help them through; we will wish the Jews a most hearty welcome home... I look forward, and my people with me look forward, to a future in which we will help you and you will help us, so that the countries in which we are mutually interested may once again take their places in the community of the civilised peoples of the world. As'ad Shukeiri, a Muslim scholar ('alim) of the Acre area, and the father of PLO founder Ahmad Shukeiri, has rejected the values of the Palestinian Arab national movement and was opposed to the anti-Zionist movement. He met routinely with Zionist officials and had a part in every pro-Zionist Arab organization from the beginning of the British Mandate, publicly rejecting Mohammad Amin al-Husayni's use of Islam to attack Zionism. The president of the Muslim National Associations and the mayor of Haifa, Hassan Bey Shukri, voiced support for the Balfour Declaration and for Zionist immigration to British Mandate Palestine. In the 1920s, the Muslim National Associations was established by Muslim Arabs who were employed by the Palestine Zionist Executive. The president of the Muslim National Associations and the mayor of Haifa, Hassan Bey Shukri, has founded the organization with Sheikh Musa Hadeib from the village of Dawaymeh near Hebron and head of the farmers' party of Mt. Hebron. We strongly protest against the attitude of the said delegation concerning the Zionist question. We do not consider the Jewish people as an enemy whose wish is to crush us. On the contrary. We consider the Jews as a brotherly people sharing our joys and troubles and helping us in the construction of our common country. 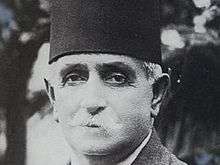 In 1929, Hadeib was murdered in Jerusalem, supposedly for his collaboration with the Zionists. In the late 1930s, Amir Abdullah, ruler of Transjordan, and the pro-Hashemite leader of Syria, Abd al-Rahman Shahabandar, offered the Zionists to create a Jewish autonomy in Palestine under the Transjordanian throne, although they did not propose an independent Jewish state. A number of Muslim groups that have histories of conflict with Arabs, including Kurds and Berbers, have also voiced support for Israel and Zionism. Ramin H. Artin, of the Kurdish-American Education Society, argues that the creation of Israel has been "a thorn in the eye of fascists who would rather eliminate the Jewish state". He concluded that an Israeli-Kurdish alliance is "natural", and that sincere mutual respect and recognition of each other's rights can lead to peace and prosperity. Palazzi noted that although in present days support for Israel among Muslims is a minority orientation, there are some exceptions, such as former President of Indonesia and leader of Nahdlatul Ulama, Shaykh Abdurrahman Wahid, and the Grand Mufti of the Russian Federation, Shaykh Talgat Tajuddin, the Mufti of European Russia, Shaykh Salman Farid, who wrote a fatwa against the intifadah. According to Palazzi, more examples for Pro-Israeli Muslim clerics are the Muftis of Chechnya, Uzbekistan and Kazakhstan. Turkey also supports Israel, being one of the first Muslim countries to recognize Israel. It is also noted that trade between Turkey and Israel has broken records in 2014. 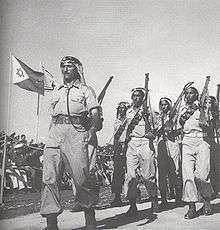 Bedouin IDF soldiers of Rumat al-Heib (عرب الهيب) during a military parade in Tel-Aviv in June 1949. During the Israeli War of Independence of 1948, many Bedouin switched sides to join the Zionist forces in opposing the invasion by the regular Arab armies. Negev Bedouins, a Muslim minority which includes about 12% of Israeli Arabs, tend to identify more as Israelis than other Arab citizens of Israel. Many Negev Bedouins serve in the Israel Defense Forces. Each year, between 5%–10% of the Bedouin of draft age volunteer for the IDF (unlike Druze and Jewish Israelis, they are not required by law to do so). During the Palestinian Arab national movement's formation, Bedouins often perceived their tribe as their principal focus of identity, and they generally did not view themselves as a component of the emerging Palestinian identity. Bedouins had long standing ties with nearby Jewish communities. Bedouins of Tuba-Zangariyye helped defend these communities in the 1936–1939 Arab revolt in Palestine. Formal co-operation between Jews and Bedouin began in 1946, when tribal leader Sheik Hussein Mohammed Ali Abu Yussef of the al-Heib tribe sent more than 60 of his men to fight alongside Zionist forces, forming the Pal-Heib unit of the Haganah. During the 1948 Arab-Israeli War, the Pal-Heib unit defended Jewish communities in the Upper Galilee against Syria. Sheik Abu Yussef was quoted in 1948 as saying, "Is it not written in the Koran that the ties of neighbors are as dear as those of relations? Our friendship with the Jews goes back many years. We felt we could trust them and they learned from us too". Maj Fehd Fallah, a Bedouin from the village of Saad in the Golan Heights said in an interview: "Yes, I have fought against Muslims in Gaza," he says. "And I would fight again if I had to," he added. "Israeli Muslims who don't serve in the IDF should be ashamed for not serving their country." I am a proud Israeli – along with many other non-Jewish Israelis such as Druze, Bahai, Bedouin, Christians and Muslims, who live in one of the most culturally diversified societies and the only true democracy in the Middle East. Like America, Israeli society is far from perfect, but let us deals honestly. By any yardstick you choose – educational opportunity, economic development, women and gay's rights, freedom of speech and assembly, legislative representation – Israel's minorities fare far better than any other country in the Middle East. 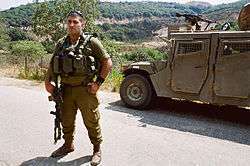 Druze commander of the IDF Herev battalion. Druze citizens are prominent in the Israel Defense Forces, and a considerable number of Israeli Druze soldiers have fallen in Israel's wars. The Circassians in Israel are non-Arab, predominantly Sunni Muslims. The Circassians have had good relations with the Jewish community in Israel since the beginning of the Jewish settlement in the Land of Israel. The Circassian community in Israel helped the illegal immigration (Ha'apala) of Jews into Palestine during the British Mandate and fought on the Israeli side of the War of Independence. In 1948, when Israel was created, Circassians of Palestine did not migrate to neighboring countries, but rather made the choice to stay within the borders of the new state and embrace full Israeli citizenship. Like the Druze population, since 1958 male Circassians perform Israeli mandatory military service upon reaching the age of majority, while females do not. Many Circassians in Israel are employed in the security forces, including in the Border Guard, the Israel Defense Forces, the police and the Israel Prison Service. The percentage of army recruits among the Circassian community in Israel is particularly high. This loyalty to Israel is often considered as an act of betrayal by the Arab Muslims, who see Circassians as traitors to the Ummah. The Druze are a religious community who consider themselves an Islamic Unist, reformatory sect. The Druze consider themselves to be Muslim, although they are considered non-Muslim by the general Islamic community. The Druze mostly do not identify with the cause of Arab nationalism. The bond between Jews and Druze is commonly known by the term "a covenant of blood". Druze citizens are prominent in the Israel Defense Forces and in politics, and a considerable number of Israeli Druze soldiers have fallen in Israel's wars since the 1948 Arab-Israeli War. Reda Mansour, a Druze poet, historian and diplomat, explained: "We are the only non-Jewish minority that is drafted into the military, and we have an even higher percentage in the combat units and as officers than the Jewish members themselves. So we are considered a very nationalistic, patriotic community." In 2008 more than 94% of Druze youngsters classified themselves as "Druze-Israelis" in the religious and national context. Five Druze lawmakers currently have been elected to serve in the 18th Knesset, a disproportionately large number considering their population. Rafik Halabi, an Israeli Druze television correspondent and former Israeli military officer, characterizes himself as an Israeli patriot. Opening his 1982 book "The West Bank Story: An Israel Arab's View of Both Sides of a Tangled Conflict", he wrote, "I am an Israeli patriot, although I am not a Jew". 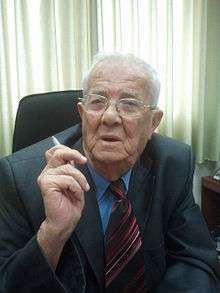 Salman Abu-Salah, from the village Majdal Shams, established the "Zionist Druze Club" in the Golan in the 1970s and advocated petitioning for Israeli citizenship, even prior to the Israeli annexation of the Golan Heights in 1980. Yusuf Nasr al-Din, who believes that the Arab-Israeli Conflict is a historical struggle between Zionism and Arabism, established the Druze Zionist Movement, recommending that the Druze show solidarity with Israel and adopt the national Zionist ideology of the Jewish people. In 1973, Amal Nasereldeen founded the Zionist Druze Circle, a group whose aim was to encourage the Druze to support the state of Israel fully and unreservedly. A-Din, a Likud member of the Knesset, has lost his son in the War of Attrition between Israel and Egypt in 1969. In 2007, Nabiah A-Din, the chairman of the forum of the Druze and Circassian authority heads, and head of the Kasra Adia municipality, criticized the "multi-cultural" Israeli constitution proposed by the Israeli Arab organization Adalah, saying that he finds it unacceptable. "The state of Israel is Jewish state as well as a democratic state that espouses equality and elections. We invalidate and reject everything that the Adalah organization is requesting," he said. According to A-din,the fate of Druze and Circassians in Israel is intertwined with that of the state. "This is a blood pact, and a pact of the living. We are unwilling to support a substantial alteration to the nature of this state, to which we tied our destinies prior to its establishment," he said. As of 2005 there were 7,000 registered members in the Druze Zionist movement. In 2009, the movement held a Druze Zionist youth conference with 1,700 participants. Major Ala Wahib serves as the highest ranking Muslim officer in the Israel Defense Forces, and originates from the Galillee village of Reineh. He serves as the operations officer at an IDF ground forces training base, and describes himself as a "Zionist Israeli Arab". Wahib grew up in a society where Holocaust denial was common, but visited Poland while serving in the IDF and was shocked, saying that "there was something very powerful in the fact that I was standing on Polish soil, holding an Israeli flag and donning the uniform of the Israeli army, but this time from a position of power." According to Wahib, there are quite a lot of Israeli Arabs who want to enlist, but do not do so since they don't know how this will be accepted by their environment. In regards to being a Muslim, Wahib explained that he believes in the Muslim faith, and will never abandon it, but believes that "Zionism... is something that fully represents my sense of belonging to the State of Israel and to Israeli society, and the immense commitment I have to protecting and guarding the country of which I am part." Anett Haskia is another outspoken Muslim supporter of Israel who was born and raised in Akko. A mother of three children who have served in the IDF, she says that Arabs in Israel live better than those living in any Arab state, and states, "I was born in Israel, and it is my homeland. I thank God every day that I was born in the Jewish state because of everything that happens in the Arab states in general and Syria, in particular. Not only do I support Israel, I am also willing to sacrifice my family for the existence of this state. You have to understand, Israel is my homeland. Just because I am an Arab Muslim does not mean I will support Arab countries against Israel or identify with a murderous organization like Hamas that wants to destroy my homeland." In 2014, Haskia has joined The Jewish Home, a right-wing political party, aiming to be elected for the Israeli Knesset, and to encourage more Arabs to identify with the state of Israel. A Truman Institute survey from 2005 found that 63% of the Arab citizens accept the principle that Israel is the state of the Jewish people. In a 2012 survey conducted by the University of Haifa Jewish-Arab Center, "Index of Jewish-Arab Relations in Israel 2012", 75% of Israeli Arabs stated that Israel has a right to exist as an independent state, and 48% that they could support its existence as a democratic, Jewish state. 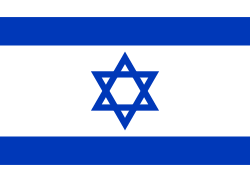 Notable Muslim supporters of Israel include Dr. Tawfik Hamid A former self-described member of a terror organization and current Islamic thinker and reformer, Sheikh Prof. Abdul Hadi Palazzi, Director of the Cultural Institute of the Italian Islamic Community and self described Muslim Zionist, and Tashbih Sayyed – a Muslim Pakistani-American scholar, journalist, author, and self-described Muslim Zionist, Prof. Khaleel Mohammed, Islamic Law scholar of the San Diego State University and Salah Uddin Shoaib Choudhury, a Bangladeshi journalist and publisher, and a self-proclaimed Muslim Zionist. Nemat Sadat an Afghan-born, US citizen is the first ex-Muslim gay, atheist and Zionist from Afghanistan. Sadat promotes Israel's right to exist in Afghanistan and calls for establishment of full bilateral Afghan-Israel relations. In an interview with The Voice of Israel, Sadat dubbed himself the "Theodr Herzl of Afghanistan" and hopes Afghans will unite their war-torn nation inside the country and in exile to become eternal and united like Israel. Salah Uddin Shoaib Choudhury, a Bangladeshi journalist and publisher, and a self-proclaimed Muslim Zionist. His newspaper, Weekly Blitz, criticizes the jihad culture and advocates inter-faith understanding between Muslims, Christians and Jews. Choudhury was arrested by Bangladeshi police on November 29, 2003 at Dhaka airport since he was scheduled to fly to Israel, a country Bangladeshi citizens are barred from travelling to. After release from 17-months imprisonment, Choudhury wrote in an Israeli newspaper "I also stand before you perhaps as a living contradiction: a Zionist, a defender of Israel, and a devout, practicing Muslim, living in a Muslim country." He said "I believe in the justice of the Zionist dream. I also acknowledge this historical reality: that the world has endeavored to crush that dream and, yes, even to destroy the viability of the Jewish people. At the same time, I live in an environment where people believe just as passionately in an opposing view—one that sees Israel as illegitimate; and the Jewish people as evil incarnate." Irshad Manji, a Muslim Canadian author and an advocate of progressive interpretation of Islam, says that the Arabs' failure to accept the Jews' historical bond with Palestine is a mistake. Manji accepts that the Jews' historical roots stretch back to the land of Israel, and recognizes their right to a Jewish state. She further argues that the allegation of apartheid in Israel is deeply misleading, noting that there are in Israel several Arab political parties; that Arab-Muslim legislators have veto powers; and that Arab parties have overturned disqualifications. She also observes that Israel has a free Arab press; that road signs bear Arabic translations; and that Arabs live and study alongside Jews. She accuses Arab countries for the Palestinian refugees' plight, saying that they "interfered with every attempt to solve the problem" and that they would rather give "generous support to suicide bombers and their families" rather than help the needy refugees. According to Geneive Abdo, "Muslim Zionist" is a label which Manji "would no doubt accept". In 2008, Salim Mansur, a Muslim Canadian Political Scientist, columnist and author, congratulated Israel for its 60th anniversary, and declared that the Jewish state "deserves admiration". He wrote, "Israel is a tiny sliver of land in a vast tempest-ridden sea of the Arab-Muslim world, and yet it is here the ancient world's most enduring story is made fresh again by Jews to live God's covenant with Abraham as told in their sacred literature." In 2010, he wrote: "The story of modern Israel, as many have noted, is a miracle unlike any [...] It is a robust and inclusive democracy, and is at the leading edge of science and technology [...] What hypocrites demand of Israelis and the scrutiny Israel is subjected to by them, they would not dare make of any other nation." Dr. Tawfik Hamid, chair for the Study of Islamic Radicalism at the Potomac Institute for Policy Studies, an Egyptian scholar and self-described former member of the militant al-Gama'a al-Islamiyya, said that most Muslims correlate the word Israel in Arabic to the word 'Azra'il that sounds like Israel but means "Angel of death". This created a link in the minds of most children of Muslims the need to hate the word Israel. In an article titled "Why I loved Israel based on the Qur'an" he claims that according to the Qur'an, God gave the Israelites the land of Israel as their promised land (Quran 17:104): And We said thereafter to the Children of Israel, "Dwell securely in the land of promise". He explains the Quran went even further to consider the Promised Land as the permanent inheritance for the Israelites (26:59): "Thus it was, but we made the Children of Israel inheritors of such things (the Promised Land)" He continued by saying "No Muslim has the right to interfere with the gathering of the Jews in Israel, as this is the will of God himself". The former Egyptian Muslim nuclear scientist Noha Hashad was arrested multiple times for conducting pro-Jewish Quran research, suffering beatings and torture at the hands of the authorities. During the chaos following the fall of the Mubarak regime in 2011, she managed to escape and fled to Israel. She claims that the Qur'an mentions Jewish rights to the land of Israel in a clear manner. In 2014, she renounced Islam. Rama Yade, a Franco-Senegalese politician who served in the government of France from 2007 to 2010 and the current vice president of the moderate conservative Radical Party, has been described as "notoriously pro-Israeli". Abdurrahman Wahid, Indonesia's president from 1999 until 2001, visited Israel six times, calling for the Islamic world to recognise and acknowledge Israel's right to exist and prosper. 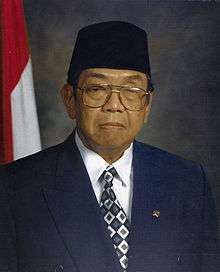 Abdurrahman Wahid, Indonesia's president from 1999 until 2001, was criticised for his pro-Israel views. Wahid moved to establish diplomatic and commercial relations with Israel, and visited Israel six times. In an 2002 interview to ABC, Wahid said that the Islamic world should start recognising and acknowledging Israel's right to exist and prosper. He added, "I think Muslims are rational and rationality dictates that." In an 2004 interview to an Israeli newspaper, he was asked about his friendship with Israel, which was described as "unusual for an Islamic leader". Wahid replied, "I think there is a wrong perception that Islam is in disagreement with Israel. This is caused by Arab propaganda [...] Israel has a reputation as a nation with a high regard for God and religion — there is then no reason we have to be against Israel." According to Wahid, Israel "is a democracy in a sea of misunderstanding". 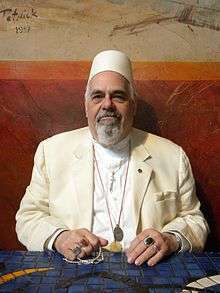 In Italy, Sheikh Prof. Abdul Hadi Palazzi, director of the Cultural Institute of the Italian Islamic Community, represents a unique "Muslim Zionist", pro-Israel and pro-American position which according to Morten T. Højsgaard, Margit Warburg, although the organization is small in proportions, is a "thorn in the side of both moderate and radical Islamic fundamentalists in Italy". In 1996, Palazzi and the Israeli scholar Asher Eder co-founded the Islam-Israel Fellowship to promote cooperation between Israel and Muslim nations. Palazzi argues against calls for jihad against Israel and says there is no religious demand for Israel to give up control over Muslim holy places. Mithal al-Alusi, a secular Muslim Iraqi lawmaker, who is openly pro-Israel, paid a heavy price for visiting Israel in September 2004, criticizing Hamas and Hezbollah as terrorist organizations, and advocating peace with the Jewish state. Upon his return to Iraq, the Sunni politician was immediately removed from Ahmed Chalabi's Iraqi National Congress Party (INC). In 2005, apparently as payback, a gunmen opened fire on Alusi's car just after it left his house, killing two of his sons, Ayman, 21, and Jamal, 30, while he escaped unharmed. According to Alusi, there is no Iraqi-Israeli problem, and the interests of the two countries are parallel; thus, he advocates strategic relations between Iraq and Israel against terrorism. Alusi returned to Israel for a second visit in September 2008. Upon his return to Iraq, he was stripped of parliamentary immunity so that he could face charges of traveling illicitly to Israel. Later that year, Iraq's Federal Supreme Court ruled in his favor, maintaining it was no longer a crime for Iraqis to travel to Israel. Indeed, I recognize their sovereignty over their land. I believe in the Holy Koran, and this fact is stated many times in the book. For instance 'O my people! Enter the holy land which Allah hath assigned unto you,’ [Koran 5:21], ‘We made the Children of Israel inheritors of such things.' [Koran 26:59] and additional verses in the Holy Book. Abdalla Mwidau, mayor of Mombasa during the 1970s, and a Muslim supporter of Israel, was elected to Kenyan parliament as the representative of Mombasa-South. In 1979, Mwidau conducted an information campaign among Muslims in the USA, in which he praised Israel's assistance to developing African countries and specifically its assistance to Muslim education in Kenya. His political rivals, led by Sharif Kassir, denounced these activities, calling Mwidau a "Zionist agent". Mwidau remained in parliament until his death in 1986. Kuwaiti writer Abdullah Saad Al-Hadlaq urged his country to normalize relations with Israel. Responding to a question whether he believed that Muslims have a right to rule Jerusalem, Hadlaq said, "On the contrary, verse number 21 of Surat Al-Maeda of the Holy Quran emphasizes the right of 'Bani Israel'". He said that Israel's model of democracy is unique and surpassed many of what he described as the "tyrannical, totalitarian" Arab regimes. In his 2008 article, "The Right of Self-defense," Al-Hadlaq supported "Israel's right to defend itself" and told the international community "not to criticize Israel if it continues its fight against Persian terror committed by the terrorist Hamas (...) and not to criticize Israel for using force to defend its citizens and its territory". In 2011, Hadlaq warned against a unilateral recognition of a Palestinian state, which he says will shatter the idea of real peace in the region. According to Al-Hadlaq, Israel has in the past made strategic concessions for peace, in Sinai, the Gaza Strip and South Lebanon, proving her desire for peaceful negotiations, but the response she earned was a hail of rockets from the "terrorists of Hizballah and Hamas". Tashbih Sayyed, a Sunni Pakistani-American scholar, journalist, and author, was a supporter of Israel and critic of the Islamist movement. He said that Israel is vital for the stability of the region. Sayyed praised the treatment of Arabs in Israel, and applauded the "strength of the Jewish spirit that refuses to give in to evil forces despite thousand of years of anti-Semitism". He concluded by saying "I am convinced that it is true that God created this earth but it is also a fact that only an Israel can keep this earth from dying". Tashbih condemned the press that portrays the Israelis as villains, and "chooses to ignore all rules of ethical journalism when it comes to Israel." In 2011, a pro-Israel advocacy group, British Muslims for Israel, was founded under the umbrella of the Institute for Middle Eastern Democracy. The group spokesperson, Hasan Afzal, a political economics student at the University of Birmingham, explained in an interview with Israeli Channel 10 that Muslims in Israel are freer than they are under oppressive regimes in Arab countries. Afzal said that calls for Israel's destruction are "nonsense" and condemned Hamas who he says is "determined to kill indiscriminately." Kasim Hafeez, a British-born Muslim of Pakistani origin, and self-proclaimed Muslim Zionist, commented it's "far from easy being a Zionist Muslim in England". Hafeez said he's been marginalized by his community and family. Hafeez, who has found an appreciation for Sufi Islam, stated in a lecture that he felt more at home in Israel than anywhere else, and added "I'm proud to call myself a Zionist". Hafeez visited university campuses around the UK presenting his talk, "The Day I Stopped Hating Israel – Confessions of an ex-Radical." In an interview with the Jewish Telegraph, Hafeez said: "It's not about being pro-Israel or pro-truth, I just want the facts to be heard. Israel is a democratic state. Muslims in Israel have more rights than possibly most Muslims in the Arab world and then there is the reality of the actual conflict. In the UK, most of us can't impact what will happen in Israel, we can't stop rockets falling from Gaza or forge a peace process, but we can tackle the delegitimisation and demonisation of Israel." Mohammed Mostafa Kamal is a freelance journalist from Bangladesh based in the United Kingdom. He has said, "No Muslim country boycotted East Timor or banned its citizens from traveling there after it became independent from mainly Muslim Indonesia. Christian-majority South Sudan became independent from mainly Muslim United Sudan in 2011. As with East Timor, we did not see any Muslim boycotts. However, when Israel became independent in 1948, Muslim countries acted with unrelenting hostility. Why?" Kamal has said that when comparing Israel's actions since 1948 with those of East Timor or South Sudan, "the only conclusion to be drawn is that the Muslim world's attitude toward Israel is totally illogical, unfair and unjust. Israel was established in the exact same manner as were Australia and America. History will not rewind." Kamal further added that "anti-Israel activities have not brought the Muslim world anything but tension, conflict and economic ruin, keeping them relegated to third-world status." Kamal also said that it was a lie to call Israel colonialist or expanionist, using proof that Israel has ceded territory since its formation for peace agreements with Egypt and Jordan and had not committed aggression against these countries since those treaties. Kamal believes that Muslim countries must recognize the state of Israel, and the Muslim world must boycott Hamas, Hezbollah, and Iran if they rejected peace. Muhammad Zahran, whose family was born in East Jerusalem, moved to Jordan, and finally to the United Kingdom, is a Palestinian blogger, lecturer, publicist, and religious Muslim who supports Israel. He has accused Jordan of practicing Apartheid, and is a supporter of Israeli settlements in the West Bank, saying that those who oppose it "are just encouraging the terrorist groups indirectly. They're giving legitimacy to Hamas." When explaining why he voices his views, Zahran said, "I don't do it because I choose to, but rather because most of the people think this way and only I have the privilege of speaking out because I'm a British citizen. Most of my people think as I do, but they're afraid to say so." He has noted that 70% of Palestinians in East Jerusalem want Israel to retain control over them, and has said that "we suffer because of our Arab brothers, but we are also dependent on them. It's a bizarre situation because the Arab countries don't really care what happens to the Palestinian people. The only assistance that we have ever received from any country was from the 'Zionist enemy.' Zahran has also said that Iran is a threat that must be stopped, and is threatening both Israel and the Palestinians. Many people condemn Israeli settlements and call for an economic boycott of their produce, but I saw that it was Arab builders, plumbers, taxi drivers and other workers who maintained Israeli lifestyles. Separatism in the Holy Land has not worked and it is time to end it. How much longer will we punish Palestinians to create a free Palestine? Stephen Suleyman Schwartz, an American Muslim author, contends that Israel is the historic, sacred land of the Jews, given to the Jews by God "as their eternal home". The American-Islamic Forum for Democracy (AIFD) was formed in March 2003. The group advocates a liberal Islam, compatible with democracy and American values. The AIFD publicly supports Israel, stating "it is necessary to make a foundational position statement regarding the state of Israel. We stand in support of the existing unqualified recognition of the state of Israel behind internationally recognized borders". The group's founder, M. Zuhdi Jasser, a former Lieutenant Commander in the United States Navy, said that Muslims need to recognize Israel as a state, to stand against radical Islamist groups by name, not by theory, tactic, or condemning terrorism, but by name—Hamas, Al Qaeda and other groups. Jasser calls political Islamism "the root cause of Islamist terrorism" and a matter on which it is "time to take sides." An outspoken supporter of Israel, Jasser warned against what he sees as the increasing threats of Radical Islam to the West: "Israel has always been a canary in the coal mine, dealing with the threat of radical Islam. Now each country is going to have to deal with it". During the 2006 Lebanon War, Jasser defended Israel's actions, and wrote "I have no reason to believe that Israel is not doing anything but just protecting itself from forces that are using homes north of it to bomb northern Israel". Afdhere Jama, an American-Muslim writer and editor of the Huriyah magazine, added, "My main difference with the majority of Muslims is the belief that a Jewish homeland is an important progress for all of us, especially one in their ancestral land of Israel". He continued, "Muslims in the United States must decide whether they see groups like Hamas and Hizbullah as legitimate resistance or the cause of Muslim troubles in the region". Khaleel Mohammed, an associate professor of Religion at San Diego State University (SDSU), attracted attention for a 2004 interview in which he stated that based on the Qur'an, Israel belongs to the Jews. Mohammed said that the Qur'an never mentions Jerusalem as a holy city, and added, "It's in the Muslim consciousness that the land first belonged to the Jews. It doesn't matter if the Jews were exiled 500 years or 2000 years, the Holy Land, as mentioned in Quran belongs to Moses and his people, the Jews." Stephen Suleyman Schwartz,an American Muslim author, and adherent of the Hanafi school of Islam, contends that Israel is the historic, sacred land of the Jews, given to the Jews by god "as their eternal home". Dr. Qanta A. Ahmed, a British-born Pakistani Muslim who today lives in New York, is a staunch defender of Israel, who has been accused by her critics of being a "Zionist in a Muslim guise". She is firmly opposed to the boycott against Israel, saying that the movement attempts to vilify Israel in almost every argument. While opposing the continued occupation of the Palestinian Territories, Ahmed admits that she doesn't know how Israel can currently relinquish control over a region hosting "a virulent Jihadist ideology" and leaders calling for her own destruction. Amna Farooqi, a Muslim-American of Pakistani descent, serves as the president of J Street U, a pro-Israel campus organization. "I fell in love with Zionism, because Zionism became about taking ownership over the story of one’s people", she says. According to Gideon Aronoff, who leads the Zionist organization Ameinu, the election of Farooqi demonstrates that Muslim progressives can be strong Zionists, and that one does not have to be Jewish or an evangelical Christian in order to appreciate Israel or care about its future. Imam Abdul Hadi Palazzi, leader of Italian Muslim Assembly and a co-founder and a co-chairman of the Islam-Israel Fellowship, quotes the Qur'an to support Judaism's special connection to the Temple Mount. According to Palazzi, "The most authoritative Islamic sources affirm the Temples." He adds that Jerusalem is sacred to Muslims because of its prior holiness to Jews and its standing as home to the biblical prophets and kings David and Solomon, all of whom he says are sacred figures also in Islam. He claims that the Qur'an "expressly recognizes that Jerusalem plays the same role for Jews that Mecca has for Muslims". The Qur'an cannot deal with the State of Israel as we know it today, since that State came into existing in 1948 only, i.e. 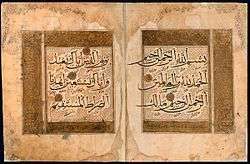 many centuries after the Qur'an itself was revealed. However, the Qur'an specifies that the Land of Israel is the homeland of the Jewish people, that God Himself gave that Land to them as heritage and ordered them to live therein. It also announces that – before the end of the time – the Jewish people will come from many different countries to retake possession of that heritage of theirs. Whoever denies this actually denies the Qur'an itself. If he is not a scholar, and in good faith believes what other people say about this issue, he is an ignorant Muslim. If, on the contrary, he is informed about what the Qur'an and openly opposes it, he ceases to be a Muslim. [Moses said]: O my people! Enter the Holy Land which God has written for you, and do not turn tail, otherwise you will be losers." Mohammed here understands "written" to mean this is the final word from God on the subject. In reaction, he was inundated with hate mail. And thereafter We said to the Children of Israel: 'Dwell in the land. When the promise of the Everlasting Life comes We shall bring you all together. And [remember] when Moses said to his people: 'O my people, ... enter the Holy Land which God has assigned unto you, and turn not back ignominiously, for then will ye be overthrown, to your own ruin. In the Muslim world, support of Israel is mostly met with opposition. In 2004, Sarah Nasser, a Muslim college student in Canada known for her pro-Israel views, received death threats after expressing support for the Jewish state's right to exist. "Being a supporter of the existence of Israel does not conflict with Islam, it complements Islam," she said. "The Koran does not have any verses that do not allow for the Jews to return to the Land of Israel (...) "I love Jews as I love true Muslims," she said. "Therefore, I believe Jews should have a right to live legitimately in their homeland." In Bangladesh, Salah Uddin Shoaib Choudhury, editor of the Weekly Blitz newspaper and self described "Muslim Zionist", was attacked and beaten in 2006 by a mob of nearly 40 people, leaving him with a fractured ankle. During the assault, the attackers shouted at Choudhury, labeling him an "agent of the Jews." In 2011, Alaa Alsaegh, a Muslim from Iraq who posted online a poem expressing support for Jewish people in Israel, was reportedly attacked in St. Louis, with a Star of David being carved into his back. Mohammad Zoabi, a self-described Muslim Zionist from Nazareth who has voiced strong support for Israel, decided to take a break from social media and keep a low profile after he reportedly received death threats from fellow Arab Israelis. Later he was forced to flee Israel after receiving serious death threats. 1 2 3 "Muhammad Al-Hussaini. The Qur'an's Covenant with the Jewish People". Middle East Quarterly. Fall 2009, pp. 9–14. 2009-03-19. Retrieved 2010-04-13. 1 2 Margolis, David (February 23, 2001). "The Muslim Zionist". Los Angeles Jewish Journal. 1 2 3 4 The scathing scholar, The Ottawa Citizen, February 6, 2007, The academic has been inundated with hate mail for previously saying that despite what Muslims are taught, Islam's holy book, the Koran, supports the right of Israel to exist and for Jews to live there. 1 2 Behrisch, Sven (April 2010), The Zionist Imam (Christian ed. ), The Jerusalem Post, Sheikh Palazzi refers to himself as a ‘Muslim Zionist.’ Zionism to him means ‘any contribution to support the state of Israel.’ He says Israel should exert sovereignty over the whole land of Palestine, including the West Bank. He explains that this position, which meets opposition from all Arab countries, the United Nations and even the majority of Israelis, is clearly supported in the Qur'an. 1 2 Tashbih, Sayyed. "A Muslim in a Jewish Land". Muslim World Today. Retrieved 17 June 2010. 1 2 Freund, Michael (January 2, 2004). "Muslim pro-Israel activist threatened". The Jerusalem Post. ↑ "What the Koran says about the land of Israel". JC. 2009-03-19. Retrieved 2010-04-13. ↑ "The Qur'an: Israel Is Not for the Jews". Middle East Forum. Fall 2009. Retrieved 2010-04-13. ↑ Cohen 2009, p. 84. ↑ Yossi Verter8 hours ago 3 3 comments (October 18, 2009). "Comment How Do Turkey and Israel Measure Each Other's Love?". Haaretz. Retrieved 2015-12-19. ↑ "Turkish-Israeli trade ties break records | i24news - See beyond". I24news.tv. Retrieved 2015-12-19. ↑ Dinero, Steven (2004). "New Identity/Identities Formulation in a Post-Nomadic Community: The Case of the Bedouin of the Negev". 6 (3). National Identities: 261–75. ↑ Cohen 2009, pp. 73, 154. ↑ Sekkai, Rachid (October 20, 2009). "Bedouin who serve in Israel's army". BBC Arabic Service. Retrieved 22 June 2010. ↑ Christensen, John (November 15, 2008). "Consul General is an Arab Who Represents Israel Well". Atlanta Journal-Constitution. Retrieved June 27, 2010. ↑ Stern, Yoav. "Druze, Circassian forum: Israel should remain a Jewish state". Ha'aretz. Retrieved June 22, 2010. ↑ Yitzhaki, Michal Yaakov (September 7, 2012). "An officer and a Muslim Zionist". Israel Hayom. Retrieved September 9, 2012. ↑ Shamir, Shimon. "Still Playing by the Rules: The Index of Arab-Jewish Relations in Israel 2012". The Israel Democracy Institute and the University of Haifa. ↑ Shoaib Choudhury, Salah Uddin (June 13, 2005). "A letter from a friend of Israel". Israel Insider. ↑ Amrousi, Emily; 'The Quran is a Zionist book'. Israel Today, April 3, 2015. ↑ "Rama Yade" (Press release). Retrieved July 23, 2014. ↑ Jordan’s ‘Zionist Sheikh’ Cites Quranic Sources for Islam-Jewish Relations. Algeminer. MARCH 7, 2014. ↑ Sayyed, Tashbih, "A Muslim in a Jewish Land," Muslim World Today (December 2, 2005). ↑ Neuwirth, Rachel, In Memoriam: Tashbih Sayyed. American Thinker, May 29, 2007. ↑ Watanabe, Teresa. Defining Today's Moderate Muslim. LA Times, September 17, 2006. Interview with Hasan Afzal, spokesperson of "British Muslims for Israel" on Channel 10 Israel. (English). 5:01. As cited on הכירו את ארגון מוסלמים למען ישראל. Nana10. March 29, 2011. ↑ Faith Kaplan, A British Muslim Speaks Out About Jews and Israel. Winnipeg Jewish Review. February 13, 2012. ↑ Kamal, Mohammed Mostafa (July 21, 2012). "Why doesn't the Muslim world recognize Israel?". The Jerusalem Post. Retrieved July 22, 2012. ↑ Barnovsky, Yael (September 28, 2012). "Let them call me crazy". Israel Hayom. Retrieved October 3, 2012. ↑ "Ed Husain". Council on Foreign Relations. Archived from the original on February 2, 2011. ↑ Husain, Ed (27 June 2007). "With God on their side?". The Guardian. London. Retrieved 1 May 2010. ↑ Husain, Ed (March 6, 2013). "End the Arab Boycott of Israel". The New York Times. Retrieved March 7, 2013. 1 2 Schwartz, Stephen (June 23, 2006). "An Islamic Defense of Israel". Missing or empty |url= (help) Excerpt from the book What Israel Means to Me edited by Alan Dershowitz (John Wiley and Sons, 2007; ISBN 978-0-470-16914-8). ↑ Handler, Judd. "The dissenting Muslim". San Diego Jewish Journal, August 2004. ↑ "Land of Israel is the homeland of the Jewish people – Imam Palazzi", Weekly Blitz, 5 (42), October 13, 2010, When asked whether he see himself as a "Muslim Zionist", he replied: "If one means a Muslim who supports the right of the Jewish people to have their own independent and sovereign State, who is solidly behind the State of Israel when it is attacked by terror and when its existence in menaced, who thinks that developing friendly relations between the Muslim nations and the State of Israel is in the interest of the Muslims and of human civilization in general, then I think that the label of Muslim Zionist is appropriate. Cohen, Hillel (2009), Army of Shadows: Palestinian Collaboration with Zionism, 1917–1948, University of California Press .